79 Compo Road North, a single family house for sale in Westport, was just listed for $1,250,000. 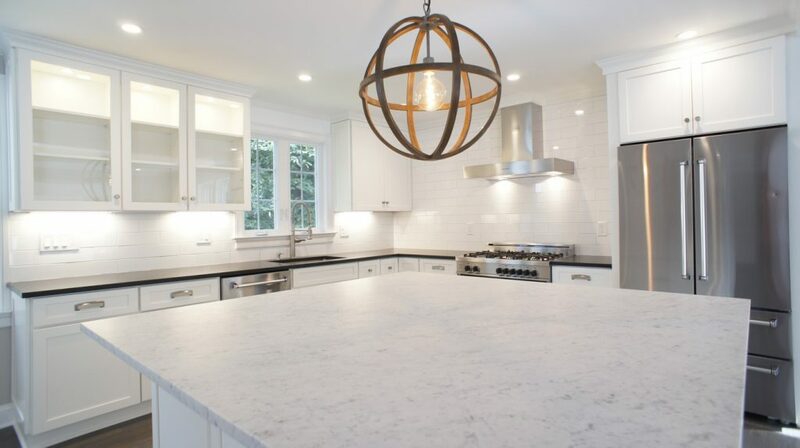 This 4 bedroom, 2.5 bath Westport house for sale was totally renovated from top to bottom in a contemporary farmhouse flair. COMPLETELY RENOVATED CONTEMPORARY FARMHOUSE JUST 2 MINUTES TO DOWNTOWN!! – OPEN CONCEPT MAIN FLOOR FEATURING GRANITE KITCHEN WITH STAINLESS STEEL BERTAZZONI APPLIANCES, SUBWAY TILE, GRANITE COUNTERS & HUGE MARBLE ISLAND OFFERING ABUNDANT SEATING – CUSTOM MASTER SUITE WITH LOFT SPACE AND CABLED RAILINGS – GORGEOUS MASTER BATH WITH SUBWAY TILE SHOWER – BEAUTIFUL HARDWOOD FLOORS THROUGHOUT – ADDITIONAL FAMILY ROOM – NEW DECK WITH CABLED RAILINGS OFFERING LOTS OF OUTDOOR SEATING, AND OVERLOOKING PRIVATE YARD AND FIRE PIT – RECESSED LIGHTING – OIL AND STONE DRIVEWAY – NEW HVAC, NEW ROOF, NEW WINDOWS – LOTS OF STORAGE SPACE IN BASEMENT, POTENTIAL FOR MORE FINISHED SPACE – TURN KEY AND READY TO GO!